For Billing and Financial Services: 1-888-924-6779 select option 1. For Client Services and Sales: 1-888-924-6779 select option 2. Please complete the contact form for all email enquiries. 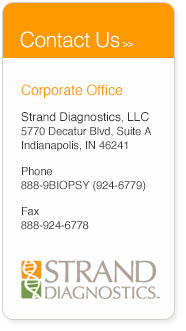 To learn more about Strand Diagnostics watch our company video.